As a commanding officer, there are many individuals who serve on board your ship. While you are already familiar with your Bridge Crew, there are others who make sure each vessel works. These unsung junior officers, the Counselors, Chefs, and Conn Officers, serve vital functions on-board any ship, but don’t directly engage in combat. The Duty Officer System gives an opportunity for these vital assets to shine. You can now recruit duty officers, select which will be posted on an active duty roster, and issue your duty officers assignments ranging from the mundane to the monumental. The Duty Officer System unlocks for characters of all factions at level 11, where you will receive your first set of duty officers. Additional duty officers can be obtained in many ways, such as spending time at your faction’s Academy. Most duty officers can be traded among players, allowing for you to find the perfect officer to improve your crew. Every duty officer has a handful of characteristics which set them apart from the rest, and help determine which assignments they are best suited to. Officers have a species, quality, specialization, and set of traits; all of these can factor into how well any given duty officer can perform a given task. Asking an Astrometrics Scientist to properly serve Aldebaran Whiskey at a diplomatic function wouldn’t go well, but they’d be right at home scanning an unknown gravimetric phenomenon. First, duty officers can be assigned to an active duty roster. Captains have active duty positions focused on both the Ground and Space aspects of their career. Many duty officers can offer additional benefits when assigned to an appropriate active roster position, with a myriad of different effects. Second, duty officers can be tasked to perform assignments. These assignments can be found on your ship, in Sector Space, and in specific ground and space locations. Duty officer assignments are pulled from lists of potential tasks, based on your current location. Every assignment has a specific set of requirements, such as requiring specific commodities and duty officer specializations. The number of duty officers which can be assigned to any given task varies, and many assignments become easier to complete with a team of duty officers with specific traits and qualities, which can lead to bonus rewards in the form of a Critical Success. Successful completion of duty officer assignments awards the Captain with commendation points in one or more categories. There are eleven commendation categories, such as Trade, Diplomacy, and Medical. Progressing through the commendation ranks unlocks access to unique duty officers that can’t be earned through other means. 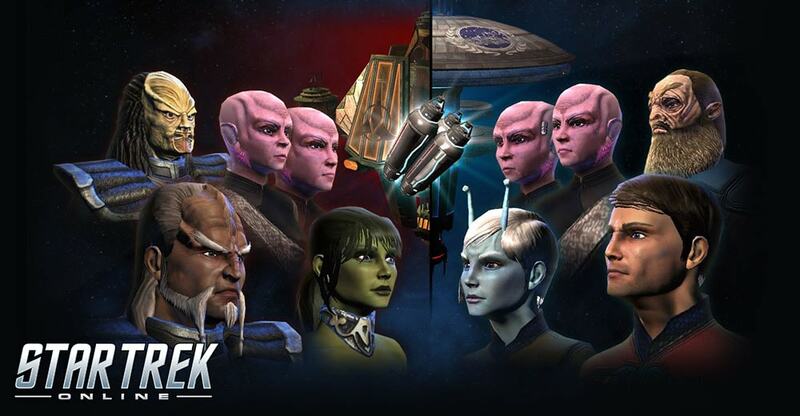 Additionally, duty officer assignments can give a wide variety of other rewards, such as gold-pressed latinum, dilithium, commodities, and even bridge officers. The Duty Officer System can be accessed from the Missions Menu, where you can see any currently running or completed assignments, your roster of available duty officers, assignments which are currently available for your officers, and your active duty roster.